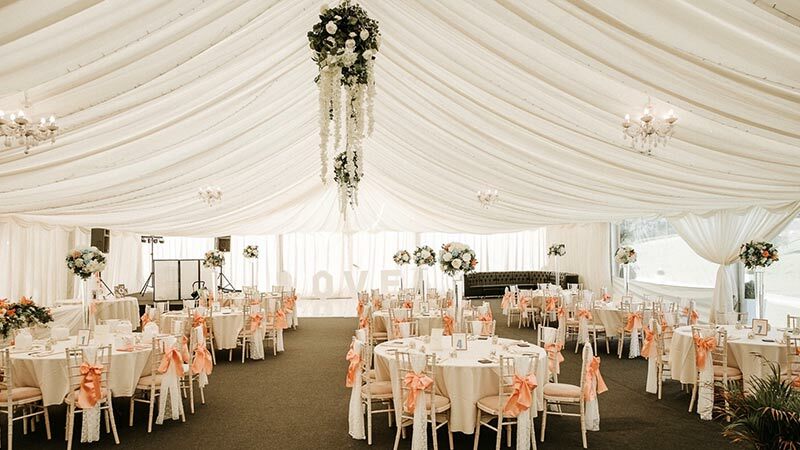 The GRAND Marquee! 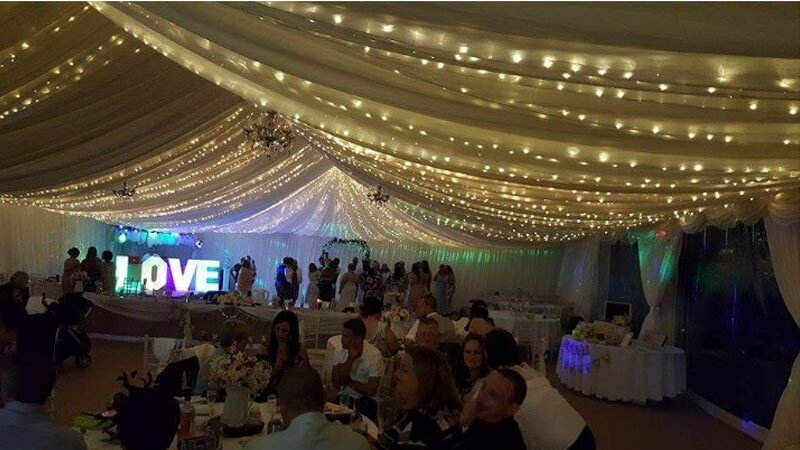 Is exactly what it's name suggests. 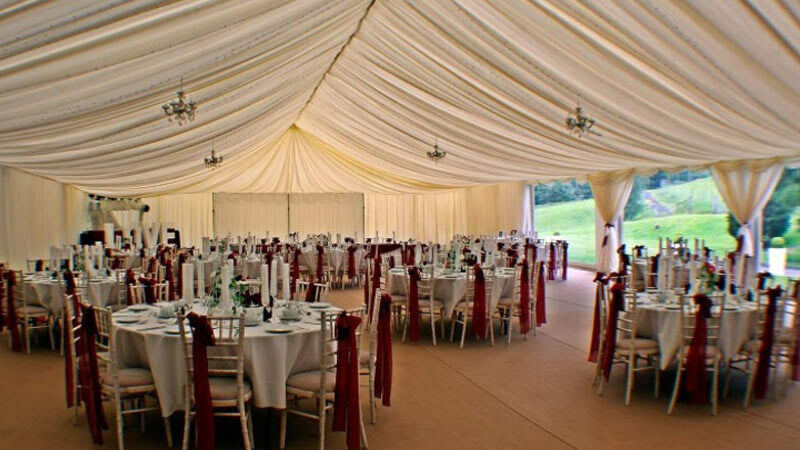 Can accommodate up to 250 guests! 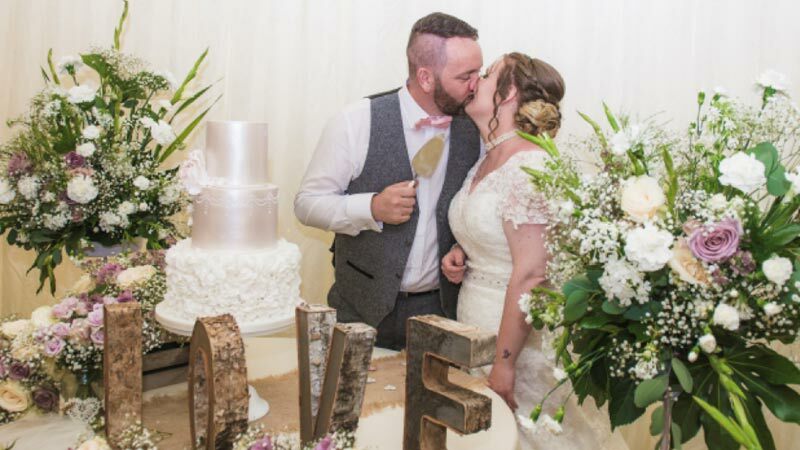 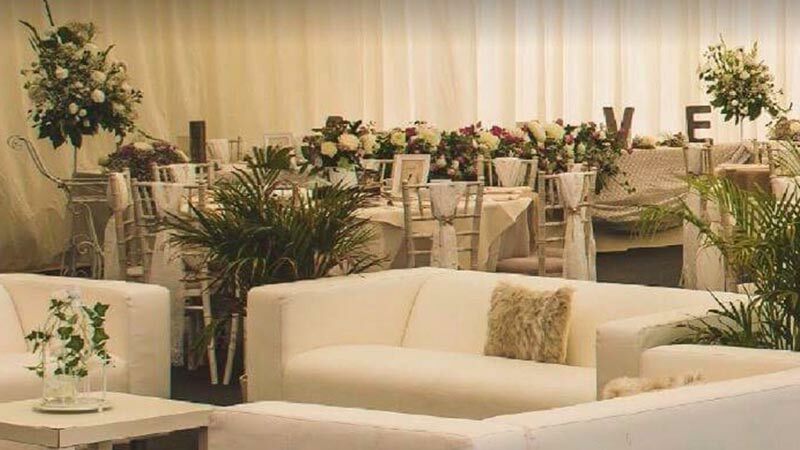 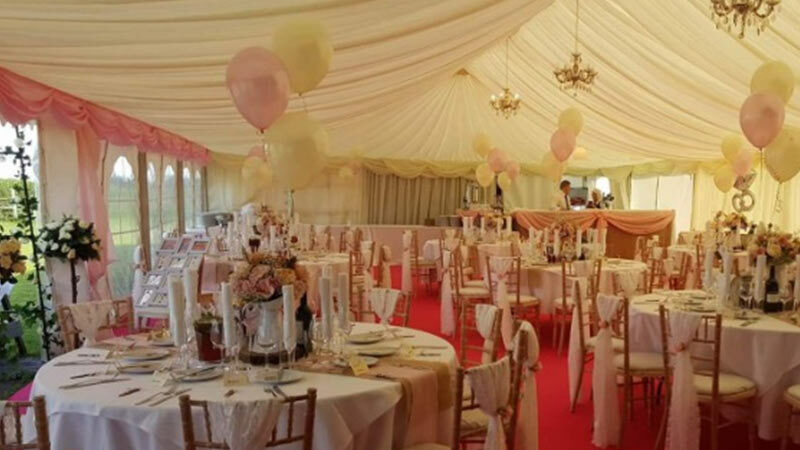 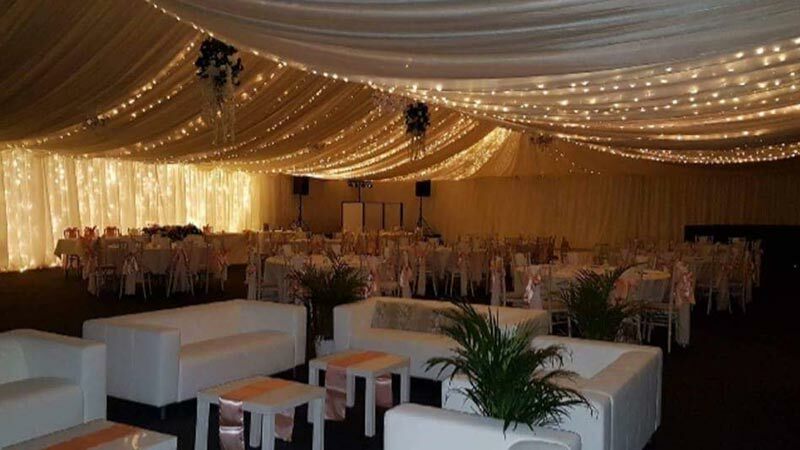 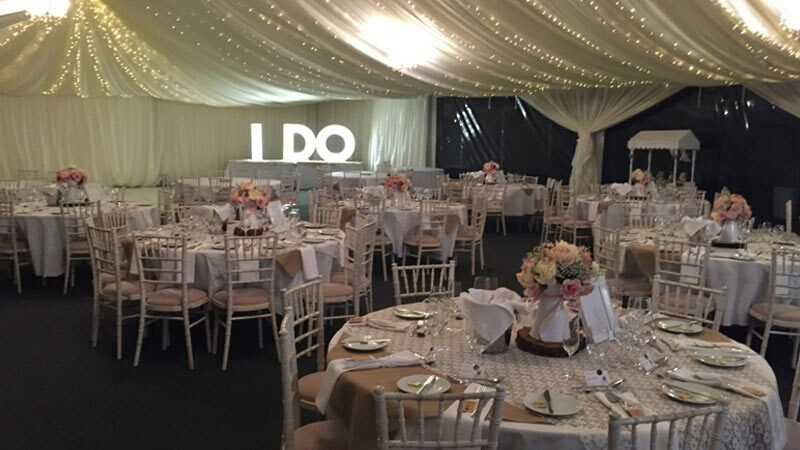 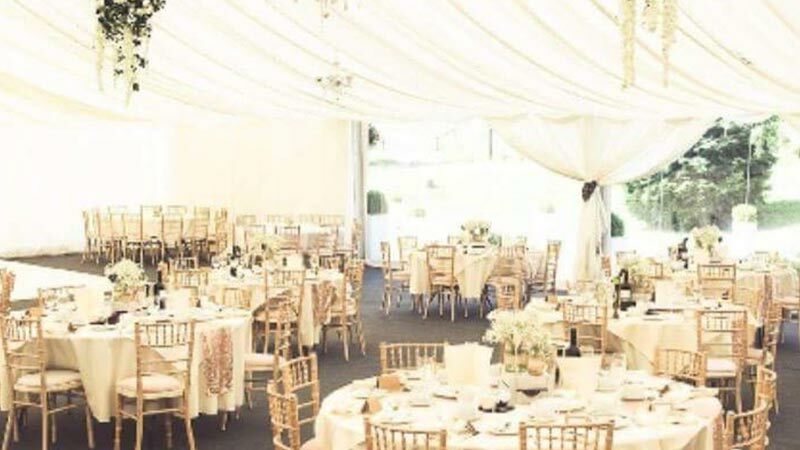 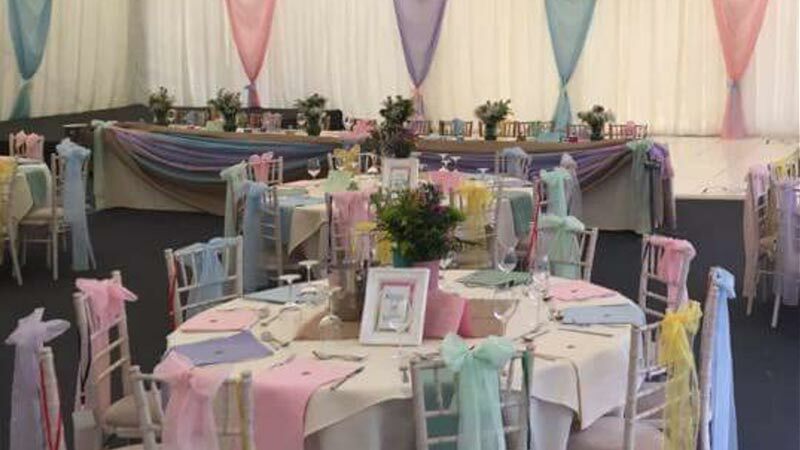 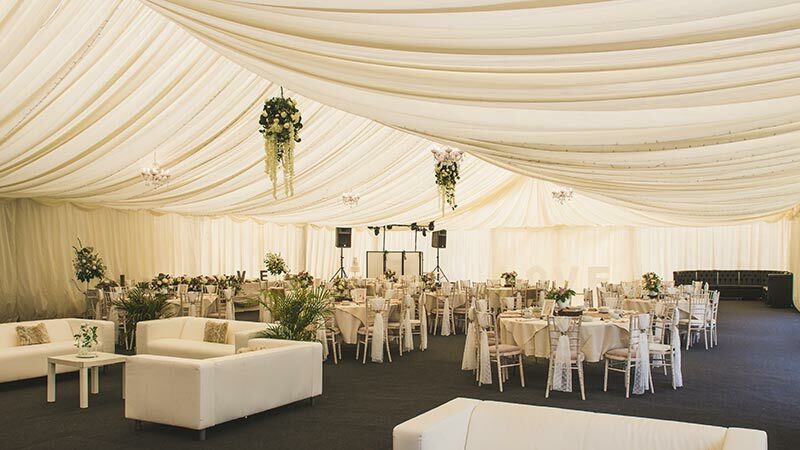 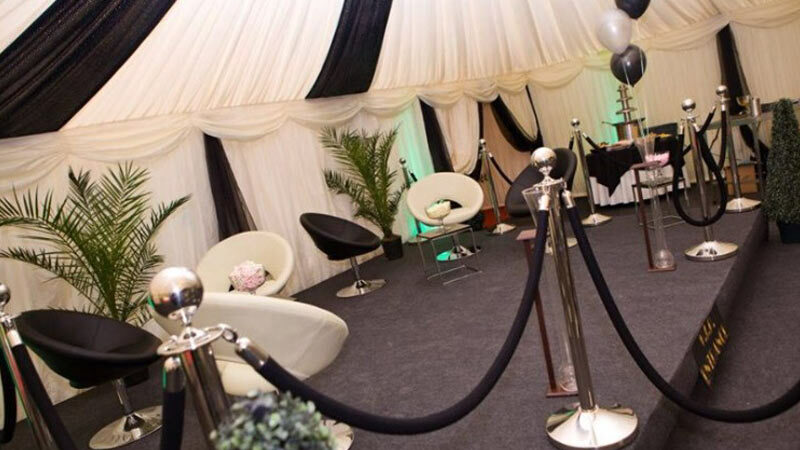 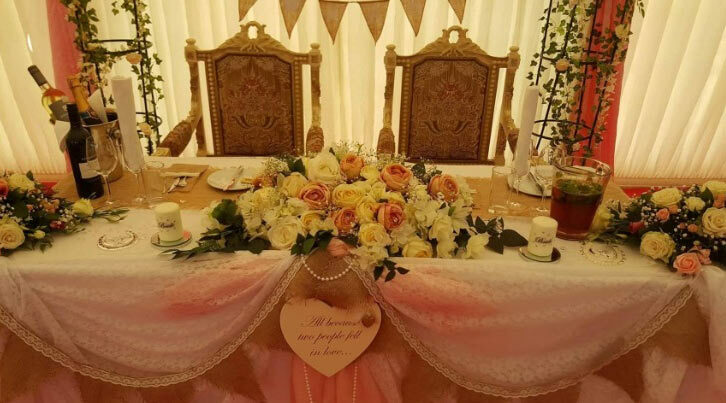 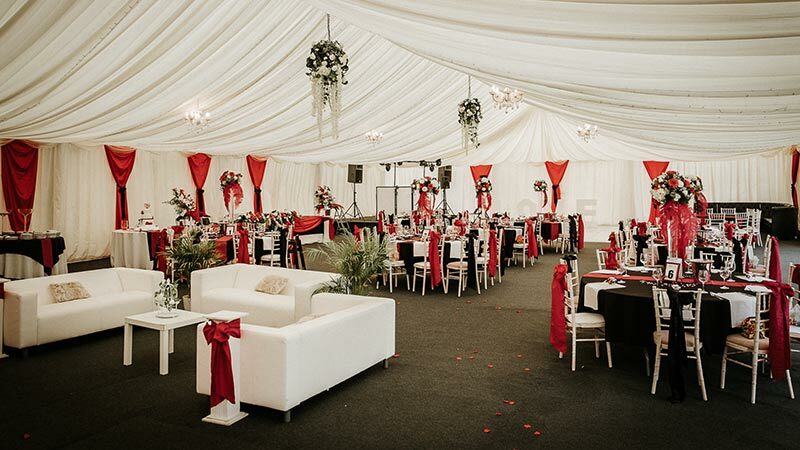 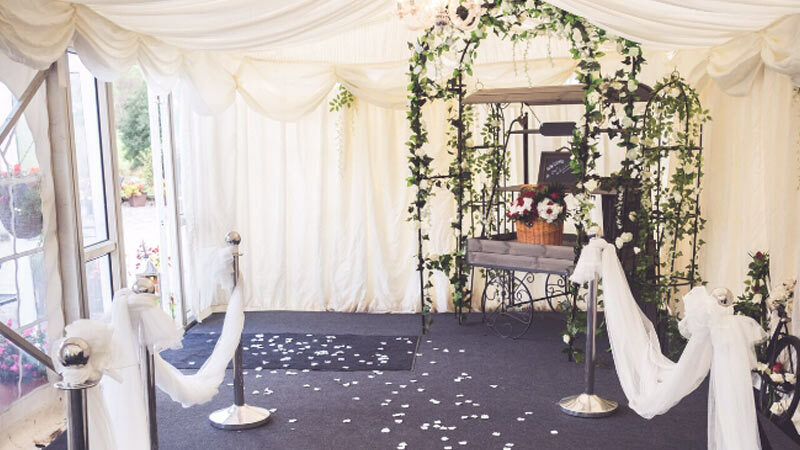 This STUNNING, luxury marquee is fully fitted with solid flooring, fitted carpet, Ivory drapes, chandeliers, leather sofa lounge, dance floor, a private bar, Loos and ladies powder room, and over 7,000 lights in its ceiling, transforms the look of the quintessential country garden marquee by day, to your perfect, elegant party tent by night! 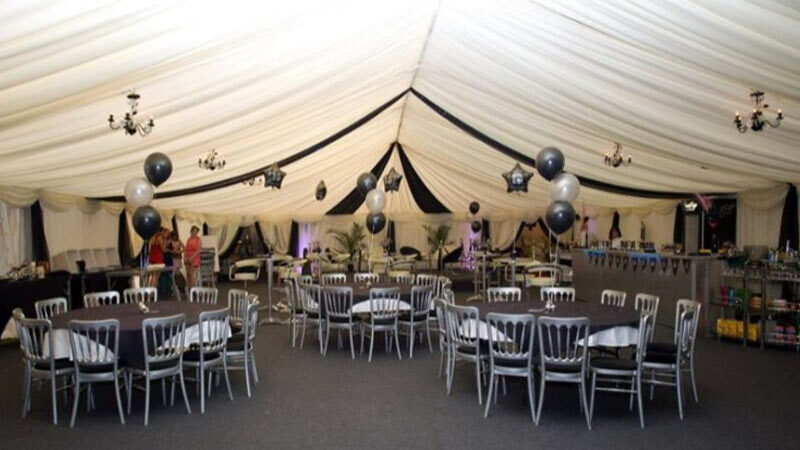 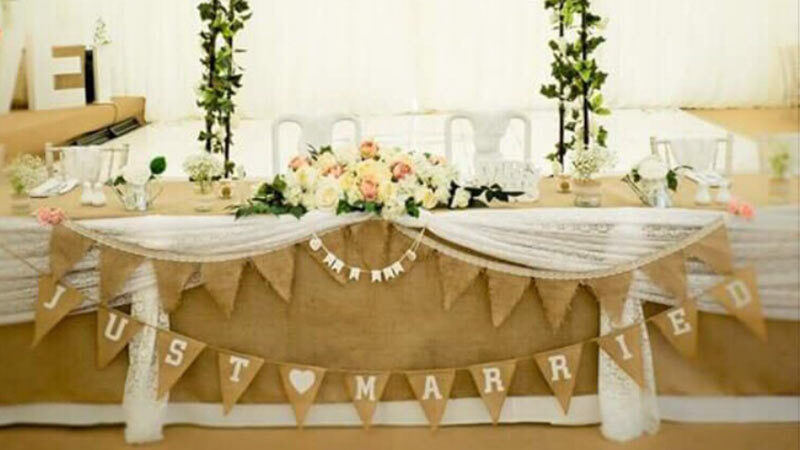 All tended by our team of professional and award winning service staff.